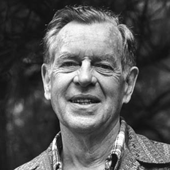 In The Hero with a Thousand Faces, mythologist Joseph Campbell stated that the international theme of the hero’s journey—mimicked since in Star Wars and The Matrix and countless other films and novels—can serve as a pattern for the lives of actual men and women everywhere. Campbell was influenced by the scholarship of Carl Jung, appreciating that mythology is not an antiquated study, but instead as useful to the day-to-day lives of modern individuals as they were for the lives of the ancients. The archetypal themes that Jung identified within the collective unconscious appear again and again in myths all over the world, and in the dreams and journeys of people alive today. In the October seminar The Hero’s Journey and the Modern Memoir, we’ll explore the way that the trials of fictional characters such as Odysseus and Luke Skywalker are also reflected within memoirs, accounts of literal survival and transformation. Carefully selected for this seminar is the beautiful literary memoir Black Boy, by Richard Wright, about his path from severe poverty in 20th century segregation South to a successful writing career in Chicago. This seminar will take place Saturday mornings, 10:30am – 12:30pm, starting October 4th. Coffee will be served, and the space will be cozy. Join us!